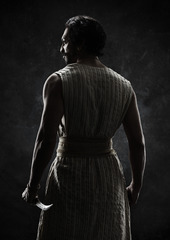 Cirque Du Soleil perform at the Royal Albert Hall, The Nether transfers to the West End and James McAvoy gives us something to look forward to in January 2015, returning to Trafalgar Transformed in The Ruling Class. The parade returns for its 29th year. More than half a million revellers and 10,000 performers are expected to pack London's streets on 1st January to celebrate the 29th anniversary of London's New Year's Day Parade. This fantastic spectacle takes around three hours to weaves its way along the 2.2 mile central London route, from outside The Ritz Hotel to Parliament Square. Expect vast, extravagant, Disney-style floats, with plenty of loud music, whistles and dancing in the street, along with marching bands, cheerleaders, street performers, clowns, acrobats, kites, colourful costumes and representatives from each of the 33 London Boroughs. A look at the famous feud between Bette Davis and Joan Crawford. Acrobatics, clowning and the show-stopping Wheel of Death. The English National Ballet perform Derek Deane's Swan Lake at the London Coliseum. The English National Ballet perform Derek Deane's Swan Lake at the London Coliseum with a "superb, no-nonsense professionalism" that manages to make "such an old tale feel so very fresh" (writes Mark Monahan in The Telegraph). Guest stars Ivan Vasiliev and Vitor Luiz perform alongside Alina Cojocaru, and Fernanda Oliveira while Tamara Rojo takes on the lead role for three performances dancing alongside Alban Lendorf in the role of Prince Siegfried. 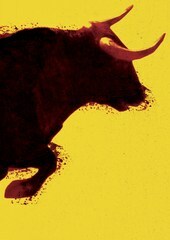 A "ravishing", "sumptuous spectacle" - The Sunday Times. Diana Nneka Atuona's first play reveals the nature and the cost of survival. The first event to showcase the thriving classic car network that the city has to offer. In early 2015 London will play host to The London Classic Car Show, the first event to showcase the thriving classic car network that the city has to offer. Organised by the team behind Top Gear Live and CarFest, the four-day event will take place at London ExCel and will offer features such as The Grand Avenue, paying homage to the greatest classic cars with more than 40 models paraded along the avenue throughout the show; James May's Cars That Changed The World, a special exhibit curated by Top Gear star James May; and James Martin's Classic Café, where TV chef and car enthusiast James Martin will create dishes that showcase both food and cars. 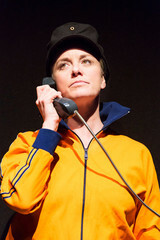 Mark Bartlett's play receives its London premiere. A must-see for anyone who likes messing about on the water. London's biggest exhibition of boats hosts 500 exhibitors showcasing anything from 1.4-metre sailing dinghies to 37-metre tri-deck motor yachts. Visitors can also take part in a range of thrilling watersport activities such as kayaking, windsurfing and wakeboarding in a special Action Pool. With displays ranging from indoor canoeing to sailing, tall ships, historic vessels and a marina full of some the largest exhibitor boats in production (at the Royal Victoria Dock), it's set to be an action-packed event with all hands on deck. Additional activities include an anchor watch masterclass, boating for beginners area - free from people peddling products - new boat launches and the Dinghy Racing Weekend. A must-see for anyone who likes messing about on the water. If you're looking to find accomodation near to the ExCeL centre, be sure to check out our London hotels page. The Royal Danish Ballet returns Sadler's Wells for the first time in ten years. The festival is open to international filmmakers for the first time in 2015. In January 2015 the London Film Short Festival is open to international filmmakers for the first time in its 12 year history. Of the 1,500 short films received approximately 300 have been selected to be screened during the 10-day festival. Renowned for its crazy, avant-garde and challenging offerings with over 75 events taking place in venues across town including the ICA, Hackney Picturehouse, and Oval Space, the LSFF really is an ultra buzzing, decidedly edgy and often decadent event, accompanied by training sessions, drunken bashes, live music and awards. The capital's biggest exhibition of boats. A 'factiona' drama that looks into the mystery of Princess Diana's death. 64 performances over 24 days celebrate the art of mime. 18 companies put on 64 performances over 24 days at some of the city's best arts venues for the London International Mime Festival which opens with the London premiere of 'Bromance' at Central Saint Martin's Platform Theatre. Taking place at the Barbican, Jacksons Lane, the Linbury Studio Theatre at the Royal Opera House, Sadler's Wells, Soho Theatre and Southbank Centre, performers include Chris Lynam, who takes us backstage into the private world of a clown performer, NoFit State Circus, Basil Twist and Trygve Wakenshaw who stages the London premiere of 'Kraken' at the Soho Theatre, an hour of physical stream-of-consciousness from the Gaulier-trained clown. Frantic Assembly's acclaimed and award-winning Othello explodes onto the Lyric stage. The New York based comedian examines Generation Y. 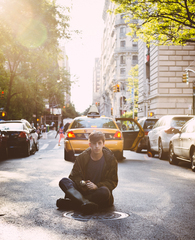 New York based comedian Alex Edelman brings his debut show Millennial to the Soho Theatre in January 2015. A recent college graduate and recipient of this year's Foster's Comedy Award for Best Newcomer, he has been perfecting the show for an extended period of time and performed it at Edinburgh Fringe 2014. 'Boasting technical flair and a precocious authority, Edelman's comedy manages to capture the voice of Generation Y' (the Guardian) and his show is loosely based around the representation of this generation. A century of Abstract art presented through the works of 80 artists. The original cast from the Ustinov Studio reprise their roles for this London premiere. The UK premiere of this production of Bad Jews was a sell out at the Ustinov Studio, Bath, last year and the original cast reprise their roles for this St. James Theatre run of Joshua Harmon's provocative play. Set in a cramped Manhattan apartment, the two main antagonists - cousins Daphna and Liam, a self-styled "bad Jew" - "go at each other hell-for-leather" (The Guardian) on the night after their grandfather's funeral. Jenna Augen who plays Daphna has been nominated in the Best Supporting Performance category at the UK Theatre Awards for her part in this "scaldingly funny and penetrating comedy" (Telegraph). 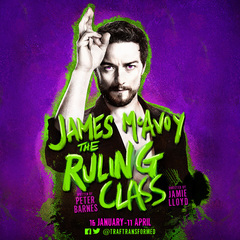 James McAvoy and Jamie Lloyd make this one of the hottest tickets in town. Contemporary cirque style skills and thrilling stunt action. A highlight of Winter Wonderland in London's Hyde Park, Cirque Berserk comes to Hackney Empire in January 2015 following a sold-out 2014 theatre tour. Combining contemporary cirque style skills with thrilling stunt action, Cirque Berserk is a danger-filled spectacle that promises to amaze audiences of all ages. Acts include the "off the scale awesome" (Daily Telegraph) Globe of Death with three motorcyclists speeding at over 60mph inside a steel cage. A troupe of over thirty jugglers, acrobats, aerialists, dancers, musicians and death-defying stunt men are joined by award-winning physical comedian and clown, Tweedy. Part gig, part installation, experience what happens when PJ Harvey makes an album. For four weeks, PJ Harvey, her band, producers and engineers will record her ninth album from inside a glass-encased studio in the recently opened New Wing at Somerset House. Part gig, part installation, visitors can experience exactly what happens when Harvey and musicians, together with her longstanding producers Flood and John Parish, go through the creative process of recording an album. The box surrounding the studio, an architectural installation designed by Somerset House-based Something & Son, has one-way glazing, so spectators can look in but Harvey and her team can't see into the crowd. The allocated 3,000 tickets, available for 45-minute sessions, have already sold out. Meet the great explorer Sir Ranulph Fiennes when he opens this year's show. Sir Ranulph Fiennes the "world's greatest living explorer", according to The Guinness Book of Records, and the first person to reach both the North and South poles by foot opens The Adventure Travel Show on Saturday 17th January 2015. Touted as the biggest collection of specialist travel operators, The Adventure Travel Show offers advice on the kind of holiday adventures you can't find on the high street. There'll be more than 100 free talks from explorers, expedition leaders, and guide-book writers - including Sir Ranulph himself - and you can attend travel writing and photography seminars held in conjunction with Wanderlust travel magazine. 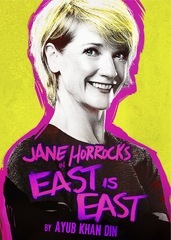 The classic British comedy heads to Richmond Theatre direct from the West End. Weedon Grossmith's comic novel about a hapless Victorian clerk kicks off the King's Head Theatre 2015 season. After a sell-out success last summer, Rough Haired Pointer Theatre Company presents Mary Franklin's inventive adaptation of George and Weedon Grossmith's comic novel about a hapless Victorian clerk as the first show of the King's Head Theatre 2015 season. With four actors playing 45 characters, a much-bashed-about front door, a human postbox and some living lamp shades, this heart-warming, hysterical production celebrates the joys and frustrations of everyday life. Two brothers, heirs to the Muslim empire, fight for succession. A play originally performed in Pakistan, Dara takes the audience to seventeenth century Mughal India two watch the story of two brothers - whose mother's death inspired the Taj Mahal - who are heirs to the Muslim empire. With two different interpretations of religion, they will fight for succession. Shahid Nadeem's intense domestic drama has been adapted by Tanya Ronder for the National Theatre. Museum quality modern British art and contemporary works vie for attention. Now in its 27th year, the London Art Fair at the Business Design Centre shows no signs of losing its cutting edge. There are two shows within the show: 'Art Projects' where Anna Colin curates 'Dialogues', showcasing contemporary art from across the globe; and 'Photo50', where Sheyi Bankale curates 50 contemporary photographs. At the front is 'The Figure in Modern British Art', an exhibition of paintings and drawings by some of the leading British figurative painters of the 20th century including Walter Sickert, David Bomberg, Lucian Freud, William Coldstream and Frank Auerbach, presented by Simon Martin, Artistic Director of Pallant House Gallery. Tom Stoppard's neuroscience play follows a young psychology researcher. Cartoon Museum exhibition dedicated to the British 60s cartoonist. Tamzin Outhwaite reprises her role in the Hampstead's West End transfer. 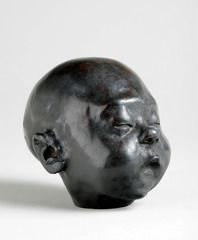 This innovative exhibition reopens the New Wing at Somerset House. A celebration of the scientists who helped Britain to victory in the Second World War. An elegant portrait of a young girl's doomed infatuation, danced by the Royal Ballet. John Cranko's adaptation of Pushkin's verse-novel, set to music by Tchaikovsky, "is suddenly flavour of the month" said The Telegraph reviewing this "welcome revival" of Onegin at the Royal Opera House in 2013. Two years on and it has lost none of its appeal. Made in 1965 for Cranko's Stuttgart company, this portrait of a young girl's doomed infatuation is "one of the great ballerina vehicles" and includes a dream pas de deux danced by the youthful Tatiana who transforms from a bookish country girl into a sophisticated woman at the pinnacle of St Petersburg society. More than 160 artworks reveal the Flemish artist's influence on the history of art. The London premiere of Alston's Rejoice in the Lamb celebrates the dance company's 20 years. A 20th anniversary celebration of the Richard Alston Dance Company featuring Benjamin Britten's Rejoice in the Lamb plus two new works at Sadler's Wells - the London premiere of Martin Lawrance's Burning and the premiere of Sadler's Wells commission Nomadic. For the London premiere of Alston's Rejoice in the Lamb - "both unfashionably easy to watch and sophisticated in construction" said the New York Times - Britten's setting of Christopher Smart's poetry is sung by Montclair State University Vocal Accord. The words are full of wild and witty details reflected in Alston's joyous choreography for his company's ten dancers. 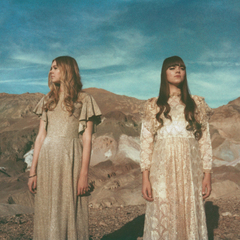 The Swedish duo performs self-penned folk material. First rate six-week arts festival in Waterloo's Leake Street tunnels. Returning for its third year, Vault Festival is a six-week arts festival in Waterloo's Leake Street tunnels featuring a wide-ranging programme of performance, live music, discussions and one-off late night parties. The line up for this year's festival includes Artful Badger, Filter's Macbeth, True Brits by Vinay Patel set in the aftermath of 7/7, and Yve Blake who collects stories from strangers to turn them into music and dance show 'Lie Collector'. Host to a choice of more than 30 shows (that's at least five shows a night!) in the atmospheric tunnels beneath Waterloo Station (accessed via Leake Street), Vault is one of the most exciting happenings on London's fringe. Showcasing some of the best choral, jazz, contemporary and beatbox ensembles. Five decades on from their Grammy Award-winning debut album festival favourites and co-hosts The Swingle Singers perform at the London A Cappella Festival which celebrates its sixth birthday in 2015. Showcasing some of the best choral, jazz, contemporary and beatbox ensembles, the annual festival offers an eclectic assortment of music that ranges from choral masterpieces to extraordinary beatbox and Nordic folk to retro pop. Taking place at Cadogan Hall on 28th January and at Kings Place from 29th to 31st January 2015, the London A Cappella Festival includes performances by British vocal harmony group The King's Singers, YouTube phenomenon Accent and America's hottest vocal talent Straight No Chaser. The schedule also includes blistering pop beats from Singaporean stars MICappella, the Finnish voices of Club For Five, Irish group Anuna, and Canada's Countermeasure - giving this year's festival a truly global feel. The American collective has collaborated with Jason Mraz, Stevie Wonder, Phil Collins and Dolly Parton. The American collective, Straight No Chaser, formed at Indiana University, perform soulful pop tracks for one night only at Cadogan Hall as part of the London A Cappella Festival. The group reimagines a selection of their favourite songs and collaborations with music icons that made them famous including Phil Collins, Stevie Wonder, Elton John, Dolly Parton, Rob Thomas, Seal, Sara Bareilles, and Jason Mraz. This is the only London concert they are playing as part of a European tour of 21 shows in 14 countries. This powerful comment against war, staged here last year, returns to Theatre Royal Stratford East. Built upon the songs that ordinary British soldiers sang during a war that killed 10 million in four years, this Musical Entertainment production is a powerful comment against war. A riot of music and colour, brilliantly comic and deeply moving, Terry Johnson's reimagined production remains true to the spirit of Joan Littlewood's 1963 original. Ian Reddington (EastEnders, Coronation Street) and Christopher Villiers (Emmerdale) join Wendi Peters, best known for her role as Cilla Battersby in Coronation Street, when the Theatre Royal Stratford East production returns to the theatre and tours in 2015 following a well received debut at the Stratford theatre last year. 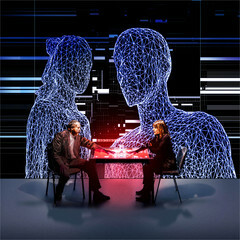 Jennifer Haley's futuristic fantasy transfers to the West End. 3-month arts festival taking place across the Southbank Centre's 21-acre site. The Southbank Centre looks at the last 70 years of British history in Changing Britain 1945-2015, a 3-month arts festival taking place across the centre's 21-acre site. Taking inspiration from historian David Kynaston's books, part of a series 'Tales of a New Jerusalem' on the social history of England, the festival asks if we still believe in the values of the 1951 Festival of Britain, created to give Britons a feeling of recovery and progress after the Second World War. The festival explores themes of history, society, culture and social justice since 1945, beginning with a series of BBC Concert Orchestra concerts and a major exhibition, History is Now: Seven Artists Take On Britain, in the Hayward Gallery from 10th February to 26th April. The festival builds up to three weekends of talks and debates (18th & 19th April, 25th & 26th April and 2nd to 4th May) ahead of the General Election on 7th May. Following the election, on 9th May, artists and audiences including the London Sinfonietta give a message to the new government about the importance of creativity. Two of Epstein's inspirations come under the spotlight - children and Bloomsbury. New for 2015, visitors to the charming Chelsea Physic Garden can see the snowdrops at eye level. See the snowdrops at the historic botanical gardens and enjoy a walk through nature at the charming Chelsea Physic Garden, usually closed during winter but open especially for the Snowdrop Days. This year there's an opportunity to see the snowdrops elevated to eye level so you can marvel at these wonderful harbingers of warmer weather. While the snowdrops take centre stage you can also see other late winter flowers like wild primulas, miniature iris and crocuses. The Snowdrop Days also include a series of free talks and workshops including a talk by Joe Sharman, the plantsman of Monksilver Nursery, on Saturday 31st January. "A truly unique exhibition" showing world-class treasures loaned from regional museums. Two Temple Place, a spectacular neo-Gothic mansion on London's Victoria Embankment, reopens this January, with an exhibition showcasing the riches gathered by the great collector-philanthropists of the booming industrial North West. Cotton to Gold features rare Roman coins, priceless medieval manuscripts, Turner watercolours, Tiffany glass, Japanese prints, Byzantine icons, ivory sculptures, preserved beetles and a Peruvian mummy. The world-class treasures, loaned from the Blackburn Museum and Art Gallery, Haworth Art Gallery in Accrington and Towneley Hall in Burnley, are from the collections of an extraordinary group of Lancashire magnates and cotton mill owners who were among Britain's wealthiest men. "We rarely lend our collections in such volume," said Paul Flintoff, Museum Manager, Blackburn Museum and Art Gallery, "in fact they have never travelled together before - making this a truly unique exhibition." From cheap budget hotels to luxury 5 star suites see our special offers for hotels, including Hilton London Islington Hotel from 68% off.